Written by ICORP on August 17, 2017 . Posted in News. Two universities in Greensboro have received a $500,000 grant from the National Science Foundation to set up a program to support local entrepreneurs in the STEM fields. UNC-Greensboro and N.C. A&T State University will use the funding to establish an Innovation Corps site in the city. The $500,000 will be given to the program over a period of five years. Innovation Corps, also called I-Corps, is a federal program designed to help scientists and engineers bring their research projects to the marketplace. 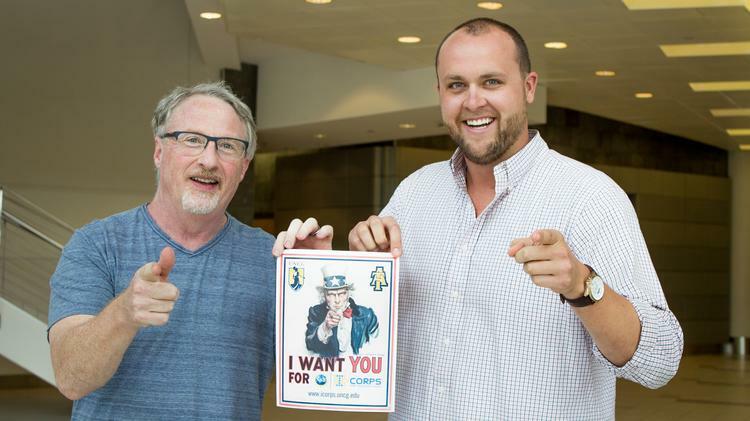 The five-week program in Greensboro, which starts in October, is open to UNCG and N.C. A&T students, faculty and alumni, said Justin Streuli, director of the North Carolina Entrepreneurship Center at UNCG and an I-Corps coordinator. “This is one of the biggest impacts for UNCG and A&T — in terms of developing startups as well as an entrepreneurial culture — we’ve seen in a while,” he said. The projects the I-Corps site will look to support will be those focused in STEM — science, technology, engineering and mathematics — fields. This includes a portable, biosensor for disease diagnostics, which is being developed by Taylor Mabe, an UNCG Ph.D. student at the Joint School of Nanoscience and Nanoengineering. Mabe is working to develop the device with Jianjun Wei, an associate professor at UNCG. He said he is participating in the I-Corps program to develop business skills. Mabe said the program will also help the team determine which diagnostic tests they should focus on when preparing the device to be commercialized. The I-Corps site will operate out of HQ Greensboro, a co-working space, and will support 30 entrepreneurial teams this year. I-Corps will provide teams with grants ranging from $3,000 to $5,000 to help fund customer discovery activities, developing prototypes and other expenses, Streuli said.